Islamabad (; Urdu: اسلام آباد‬‎, Islāmābād, Urdu pronunciation: [ɪsˌlɑːmɑːˈbɑːd̪]) is the capital city of Pakistan located within the federal Islamabad Capital Territory. With a population of 2.01 million, it is the 9th largest city of Pakistan, while the larger Islamabad-Rawalpindi metropolitan area is the third largest in Pakistan with a population exceeding four million. The city is the political seat of Pakistan and is administered by the Islamabad Metropolitan Corporation, supported by the Capital Development Authority (CDA). Islamabad was built during the 1960s to replace Karachi as Pakistan's capital. The city's master-plan divides the city into eight zones, including administrative, diplomatic enclave, residential areas, educational sectors, industrial sectors, commercial areas, and rural and green areas. The city is known for the presence of several parks and forests, including the Margalla Hills National Park and Shakarparian Park. 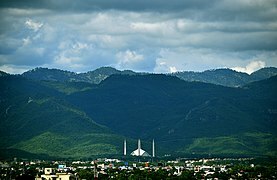 The city is home to several landmarks, including the Faisal Mosque, the largest mosque in South Asia and the fourth largest in the world. Other landmarks include the Pakistan's National Monument and Democracy Square. Islamabad is a beta- world city; it is categorised as very high on the Human Development Index, the highest in the country. The city has the highest cost of living in Pakistan, and its population is dominated by middle and upper middle class citizens. The city is home to twenty universities, including the Quaid-e-Azam University, PIEAS, COMSATS Institute of Information Technology and NUST. The city is one of the safest in Pakistan, and has an expansive surveillance system with 1,900 CCTV cameras. The popular Shrine of Meher Ali Shah was completed immediately before construction began on the future capital city just east of the shrine. 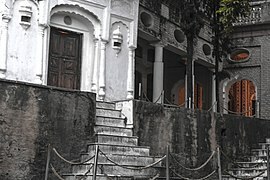 The restored village of Saidpur predates the surrounding city of Islamabad. When Pakistan gained independence in 1947, the southern port city of Karachi was its first national capital. In the 1960s, Islamabad was constructed as a forward capital for several reasons. Traditionally, development in Pakistan was focused on the colonial centre of Karachi, and President Ayub Khan wanted it equally distributed. Moreover, Karachi was located at the southern end of the country, making it vulnerable to attacks from the Arabian Sea. Pakistan needed a capital that was easily accessible from all parts of the country. Karachi, a business centre, was also considered unsuitable partly because of intervention of business interests in government affairs. 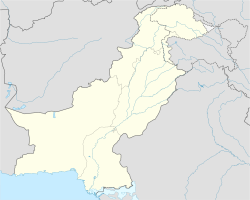 The newly selected location of Islamabad was closer to the army headquarters in Rawalpindi and the disputed territory of Kashmir in the north. Islamabad has attracted people from all over Pakistan, making it one of the most cosmopolitan and urbanised cities of Pakistan. As the capital city it has hosted a number of important meetings, such as the South Asian Association for Regional Cooperation summit. Year 2014 has brought in major changes in Islamabad. Construction of the Rawalpindi-Islamabad Metrobus began on 28 February 2014 which was completed in March 2015, with 60 buses plying on the route. The Rawalpindi Development Authority took care of the project with a cost of approximately Rs 24 billion, which was shared by both the Federal government and the provincial government of Punjab. In October 2005, the city suffered some damage due to the 2005 Kashmir earthquake which had a magnitude of 7.6. Islamabad has experienced a series of terrorist incidents including the July 2007 Siege of Lal Masjid (Red Mosque), the June 2008 Danish embassy bombing, and the September 2008 Marriott bombing. In 2011, four terrorism incidents occurred in the city, killing four people, including the murder of the then Punjab GovernorSalmaan Taseer. Islamabad is located at 33°26′N73°02′E﻿ / ﻿33.43°N 73.04°E﻿ / 33.43; 73.04 at the northern edge of the Pothohar Plateau and at the foot of the Margalla Hills in Islamabad Capital Territory. 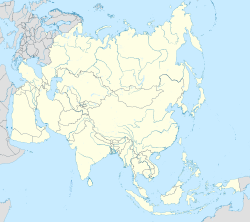 Its elevation is 540 metres (1,770 ft). The modern capital and the ancient Gakhar city of Rawalpindi stand side by side and are commonly referred to as the Twin Cities, where no exact boundary exists between the two cities. The murals on the inside of the large petals of Pakistan Monument are based on Islamic architecture. The Shah Faisal Mosque is a fusion of contemporary architecture with a more traditional large triangular prayer hall and four minarets, designed by Vedat Dalokay, a Turkish architect and built with the help of funding provided by King Faisal of Saudi Arabia. The architecture of Faisal Mosque is unusual as it lacks a dome structure. It is a combination of Arabic, Turkish, and Mughal architectural traditions.The Centaurus is an example of modern architecture under construction in Islamabad. The seven star hotel was designed by WS Atkins PLC. The newly built Islamabad Stock Exchange Towers is another example of modern architecture in the city. The mother tongue of the majority of the population is Punjabi, at 68% and the major dialect is Pothohari. 15% of the population are Pashto speakers, 18% speak other languages. The total migrant population of the city is 1 million, with the majority (691,977) coming from Punjab. Around 210,614 of the migrated population came from Sindh and rest from Khyber Pakhtunkhwa, Azad Kashmir. Smaller populations emigrated from Federally Administered Tribal Areas, Balochistan, and Gilgit–Baltistan. Islamabad is a net contributor to the Pakistani economy, as whilst having only 0.8% of the country's population, it contributes 1% to the country's GDP.Islamabad Stock Exchange, founded in 1989, is Pakistan's third largest stock exchange after Karachi Stock Exchange and Lahore Stock Exchange, and was merged to form Pakistan Stock Exchange. The exchange had 118 members with 104 corporate bodies and 18 individual members. The average daily turnover of the stock exchange is over 1 million shares.